The Konus 7122 is a spotting scope with high magnification and great features. Read more about what’s included and how to use this scope for best results in the field. If you’re out in the field checking out wildlife or carrying out sports such as hunting or shooting, you’ll need the reassurance of equipment that you can trust. A spotting scope is essential but there’s nothing worse than blurry images or a lens that fogs up at the crucial moment. The Konus 7122 is a spotting scope which is designed to deliver top-notch performance for all outdoor pursuits. But does it match up to its claims? We take a closer look at what it’s got to offer and how it fares in the first of our Konus spotting scopes reviews. This isn’t as much as you’ll find with some other spotting scopes as there’s no tripod included, for example. However, we’re not too worried about that as very often the tripod that’s provided in the box is of poor quality and not stable enough for regular use. In this case, what’s provided with the scope is good quality accessories that are of practical use. If you want to take advantage of the camera adaptor, you’ll have to purchase the T-ring separately but we think that’s a minor inconvenience, all things considered. The magnification is the part of the scope which really matters; this is the spec that buyers often look for when deciding whether to purchase. This Konus spotting scope has a magnification of 20-60x on a 100mm lens, offering crisp, sharp images even at distance. Not many scopes offer magnification of greater than 60x as it’s difficult to achieve quality images beyond this point due to atmospheric influence. 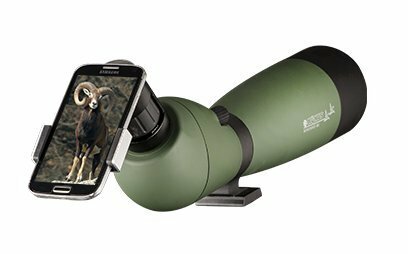 With this scope, you’ll be able to achieve the fullest magnification possible to really zoom in on those distant targets. The wide variability in the magnification is a huge bonus for this scope as it allows users to work at the typical range of around 30x as well as zooming out to 20x and in to 60x as and when needed. This makes it an extremely versatile choice suitable for a wide range of activities from sports to photography, and everything in between. The images produced with this scope are of high definition with excellent light transmission, helped by the large size of the objective lens. Like many other 100mm scopes, the quality of the images is excellent, even in low light conditions. Konus has opted for a Porro prism design and this together with the high-quality BaK–4 prism glass delivers superb results. The only slight drawback is that the optics are multicoated but not fully so they don’t achieve the optimum brightness which would have otherwise been possible. 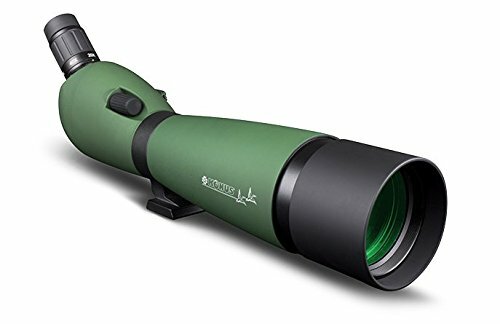 For a spotting scope of this quality, this is a shame as the increase in cost would have been negligible but the difference would be very noticeable to the user. This spotting scope is built to last with housing that’s made from tough metal. However, with an overall weight of 5.3lbs and a length of 18.8”, it’s not a small and lightweight spotting scope that can easily be used in the field. Although there’s no doubt that the results this scope can produce are excellent, you’ll need to plan if you want to take it along on any trip. The heavy weight compared to other scopes in the market means you’ll need to minimize any other equipment to prevent becoming overloaded. Recommended Next: See how the top scopes compare as we compile our favorite spotting scope reviews of the year. Although the base of the scope is made from metal, it’s covered with a resilient rubber armor which means it’s extremely tough and durable. The rubber acts as an anti-shock mechanism so even if it’s accidentally dropped, it should survive without any internal damage. Mind you, with the weight of this scope we’d suggest trying to keep your toes well out of the way! The design is both fog proof and waterproof so will perform to the highest standards even in the most miserable of weather conditions. This offers durability which is reassuring and means that despite its weight, is a scope that you’d want to take with you on any trip. The weight of this scope means that you’ll definitely need to invest in a quality tripod so you can get steady images without risk of dropping your equipment. The eye-piece is set at 45 degrees which makes viewing comfortable and there’s a retractable sunshade included for additional protection when needed. The zoom and focus wheel sits ergonomically and rotates smoothly when moved. However, they both offer a slight resistance which is useful to prevent accidental knocks. Let’s weigh up the good against the bad to see how this scope really compares. This Konus spotting scope review for the 7122 is favorable overall because the quality of the images is hard to ignore. The light transmission is excellent and means this scope is a useful bit of kit even at dusk or sunrise. 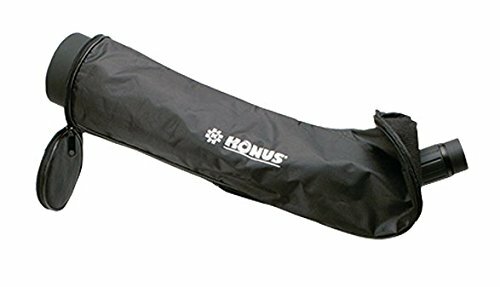 If you want to include this Konus scope in your camping or hunting trip you’ll need to plan ahead because the sheer weight means it’s not easy to simply pack into your bag and set off. However, with a bit of foresight and organization you should be able to accommodate the weight of the scope and with its outstanding performance and wide field of vision, you’ll be glad you made the effort to take it along.